And then there was Plan B. Fished an estuary over the past two nights with mixed results. The first night I missed the tide and most of the fish, although I did get a courtesy tap. There were grass shrimp and a surprising number of small (inch, inch-and-a-half?) clam worms milling about. How nice to see some actual bait and receive the suggestion that there might be something about with stripes other than the skunk. Last night I was able to negotiate a more favorable tide window. No worms, but a few more shrimp, some silversides, and — what was that? That old familiar pock! echoing across the water. The rise ring was easy to see, and although it took several drifts and dangles over his position, I saw the take and heard the splash before I felt the tug. Lost the next one to a lousy trout hook set, and then all was quiet. I reconnoitered upstream and sat in the dark, listening for mischief. There it was, though well out of casting range. Then more mischief from the opposite direction. I scrambled into position, but by the time I got set the fish had departed for parts unknown. I gave it another half hour, then decided that I did not want to test the will of the mosquitoes over my fading vitola. Yeah mon, I caught a striped bass on a bonefish fly. A Crazy Charlie (tan, not the pink you see here) was the middle dropper above an Orange Ruthless clam worm and below a deer hair grass shrimp. My three fly team looked like this one from last year. And so we close the books on what was easily the worst spring for fly fishing for stripers from the shore in Connecticut I’ve experienced since 2007. Blame it on a long winter and a cold spring. Blame it on lack of bait. Blame it low flows in the rivers. Blame it on crashing striper stocks. Blame it on shifting channels. Blame it on every year is different. Blame it on plain old bad luck. One thing is certain: If I’m going to spend four hours in a river in the middle of the night, I gotta feel like there’s a reasonable chance I might find some fish. Folks, I ain’t feeling it. So, time for Striper Plan B. I’ll let you know how that goes. In another year, this might represent the number of stripers I’ve caught so far. 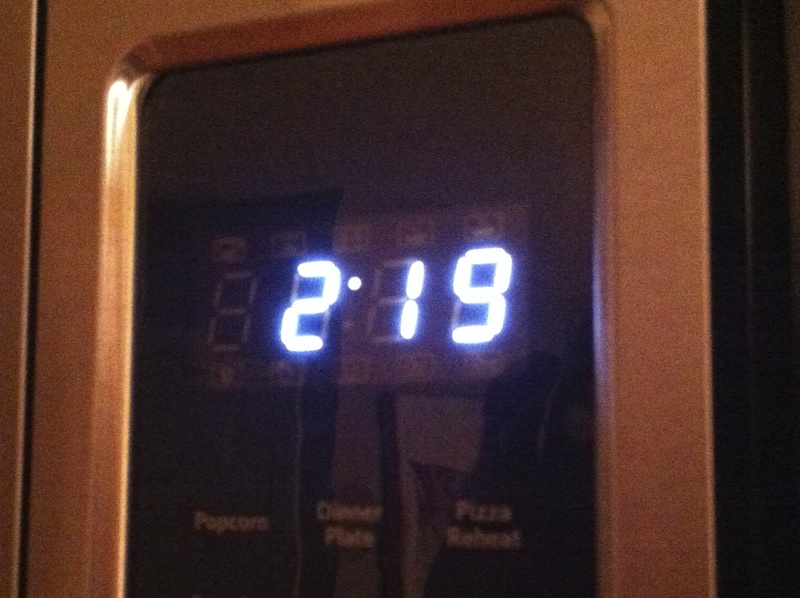 Instead, it’s a painful reminder of yet another long, fishless night. 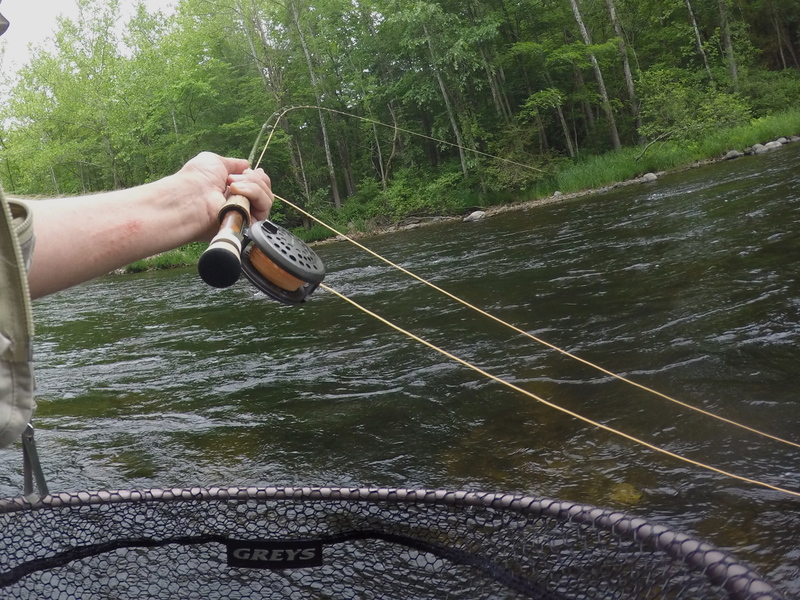 Farmington River Report 5/23/15: The Light Cahills are here. On Saturday my son had a soccer tournament in Avon, and I had a two hour fishing window between the afternoon and evening games. So I hightailed it to the lower river for a highly productive and entertaining two hours of fishing between 4:30 and 6:30. Caddis were out (mostly smaller, size 16). But the real story was my first sighting of Light Cahills. (Call them what you will — Vitreous, PEDs, whatever — if they are creamy-colored size 12 mayflies that hatch in the late afternoon in May, I go with Light Cahills.) it was a proper hatch — I’d rate it a 7 on a 1-10 scale — and there were plenty of trout having at them, slashing and splashing and making a general spectacle with their showy takes. 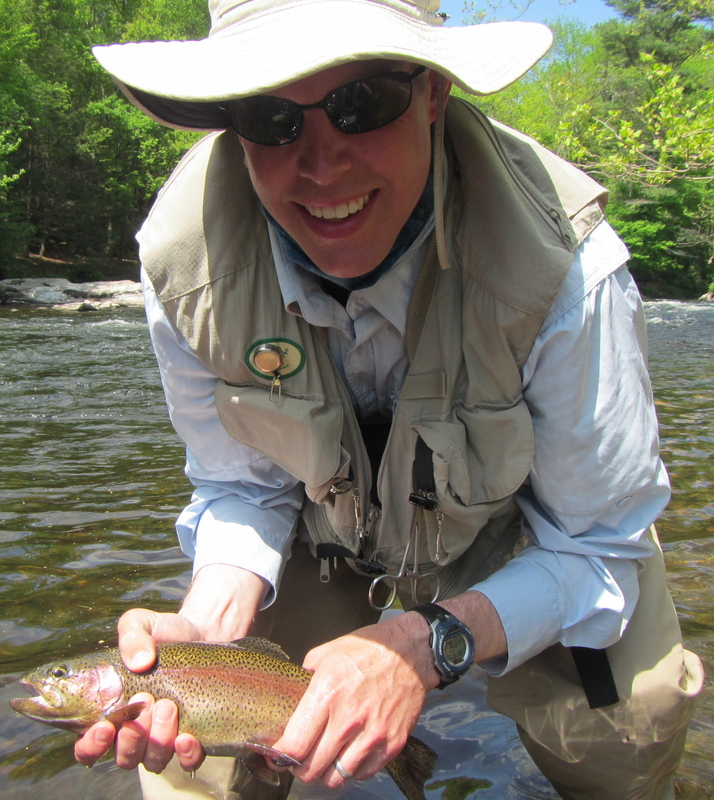 The wet fly is a fine default method for covering water when there’s nothing much happening. 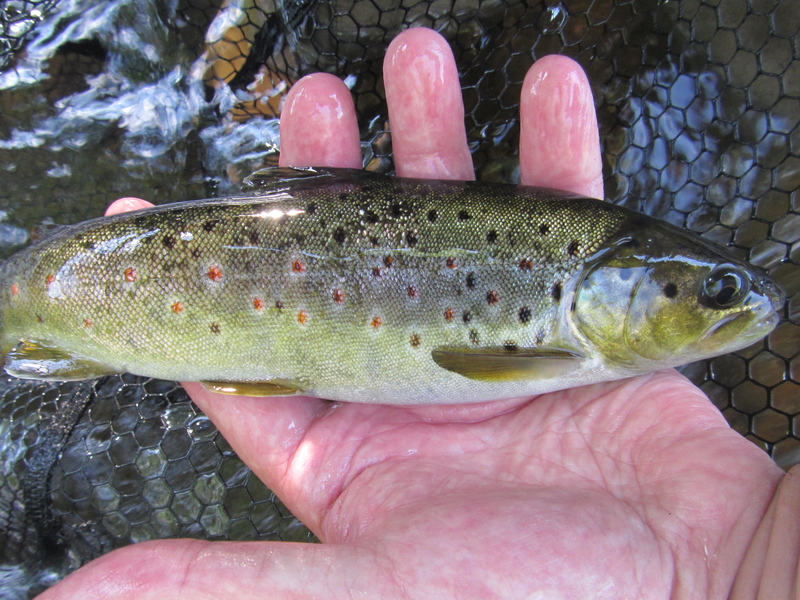 But when a hatch is underway and the trout are actively feeding, it can be highly productive. And besides, fishing under the hatch is just plain fun. There was a lot of this going on. I can’t ever remember two hours of fishing time passing so quickly. I fished two kinds of water. The first was a snotty, boulder-strewn run with seams and pockets, about 75 yards long. 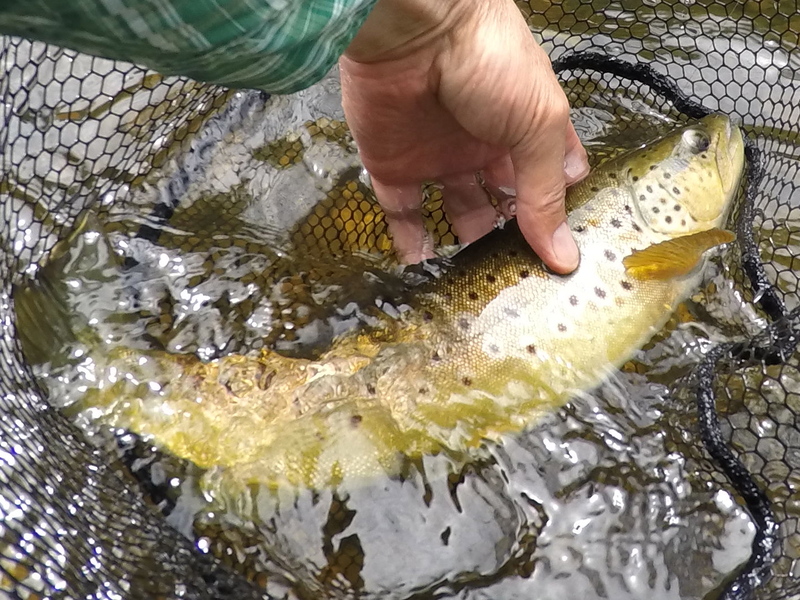 I walked its length, covering the fishy looking areas with my team of three wets, and connected with a half dozen trout and a JV Atlantic salmon. 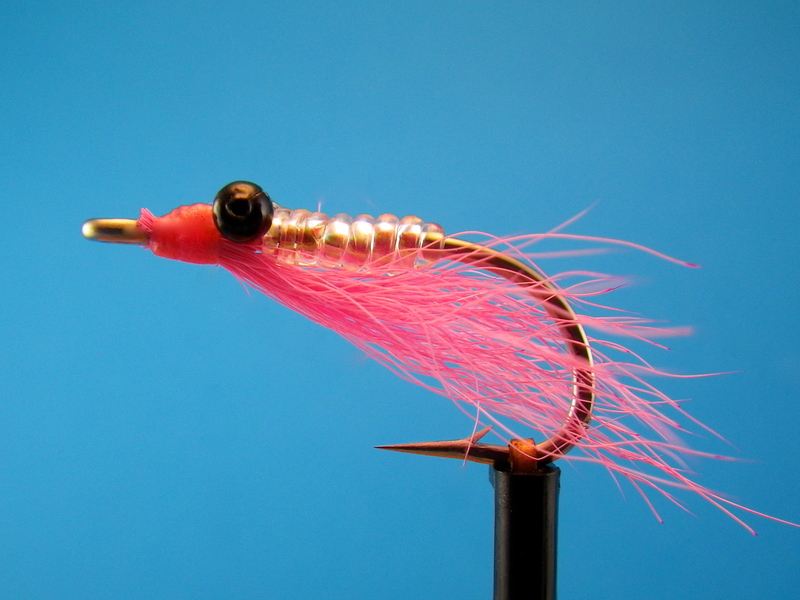 The runaway favorite fly was the size 12 soft-hackled bead head Pheasant Tail. Next, I focused on a run with a mottled surface that was moving at a moderate walking pace. The hatch began to pick up in intensity, but I still had no takes. So I swapped out the bottom and middle flies (SHBHPT and Dark Hendrickson, respectively) for a size 12 Light Cahill winged wet and a size 14 Pale Watery wingless (Magic Fly). That made all the difference. I caught trout after trout for the better part of 75 minutes. 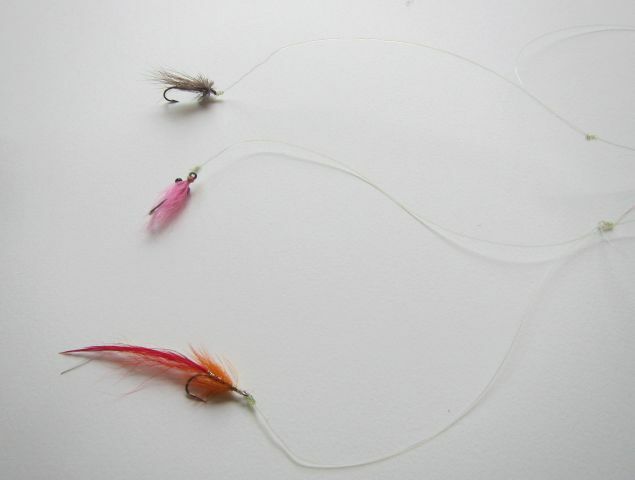 They took all three flies (Squirrel and Ginger was the top dropper), but the Cahill and the PWW were the focal points. What was interesting about yesterday’s hatch was that even though I got into double-digit numbers, I had to work for most of them. 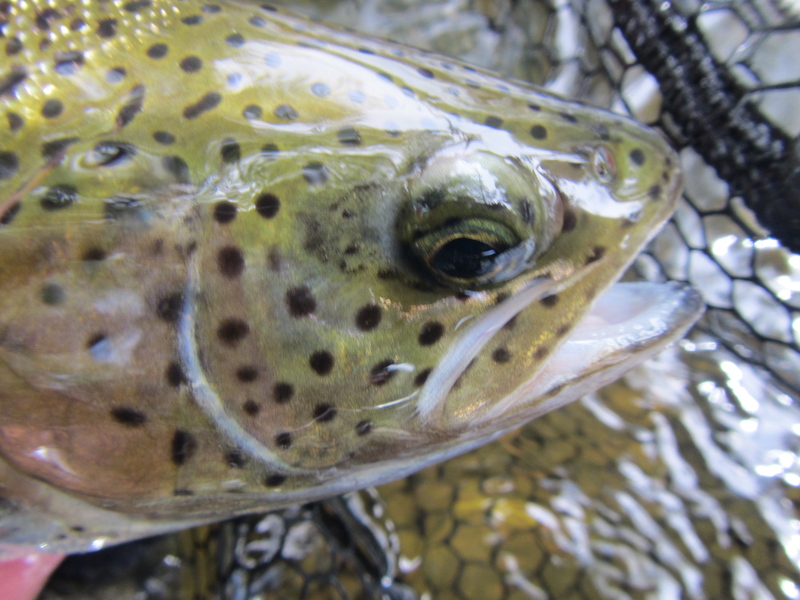 Sometimes when you’re fishing under the hatch, the trout are so keen on gorging themselves that you just need to swing the right fly in front of their noses. Not so yesterday. I specifically targeting actively feeding trout, and only two of them took on the first presentation. Most took a dozen or so casts, often with a break between presentations, and several wouldn’t give the flies a sniff. Also, I typically like to fish wets across and/or down. Yesterday I had a lot of success targeting active feeders that were upstream of me. I had to drag myself away to get back to the last game. Cam’s team won. 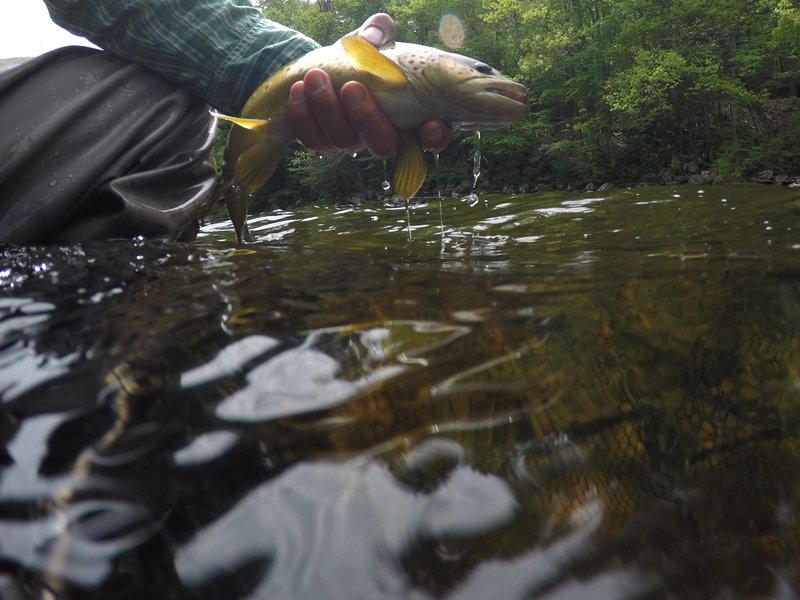 I was indicator nymphing a favorite pool this morning that I knew held trout. But despite my best efforts to fish it systematically and cover water, I was blanking. Thirty minutes in and not a single strike. I knew I was fishing deep enough — there had been several false positives provided by the bottom. The water wasn’t particularly fast or deep. Maybe add another BB shot to the one at the terminal end of my drop-shot rig to slow things down a tad? Yessiree Bob. That simple change quickly had me into fish. A someteen-inch wild Farmington brown that hammered my size 12 black beadhead Squirrel and Ginger nymph. These fish can be quite aggressive in their takes, even when you’re tracking your fly along at the speed of the current. You can immediately sense that you’ve got a good fish on. I fished for a little over four hours today, mostly committed to the nymphing cause, bouncing around to six spots outside the permanent TMA. Water was on the low side of medium (270cfs in the permanent TMA) and 51 degrees. No significant hatch activity, (nor surface activity) although there were caddis just about everywhere. Once I made that adjustment to slow my drift, the fishing was quite good. I found multiple trout willing to jump on nearly every place I fished. They really liked the size 12 black beadhead Squirrel and Ginger nymph; only one trout, an acrobatic rainbow, chose the top dropper, a size 16 soft-hackled pheasant tail. Conditions look good for the weekend. Get out if you can and enjoy this wonderful resource. Mister brown buck with the big fins, endeavoring for gator brown status (maybe next year? ), close to freedom. I had the pleasure of guiding the father and son team of Bob and Tim today. They booked this trip a month ago, and they won the weather lottery. Wotta day! We started off outside the permanent TMA and found trout and solitude (and a girl in a bikini). Not a bad way to spend a few hours. Tim had never indicator nymphed before, so I set him up, gave him a quick lesson, then went to go check on Bob. A few minutes later, I turned and saw Tim’s rod doubled over. Way to go, Tim! Happy nympher. The first of two fish for Tim under the the yarn. His second was a brown. Both fish came on a black bead head Dark Hendrickson soft-hackle. Off to Spot B where old pro Bob connected with a feisty rainbow on a wet fly swing. 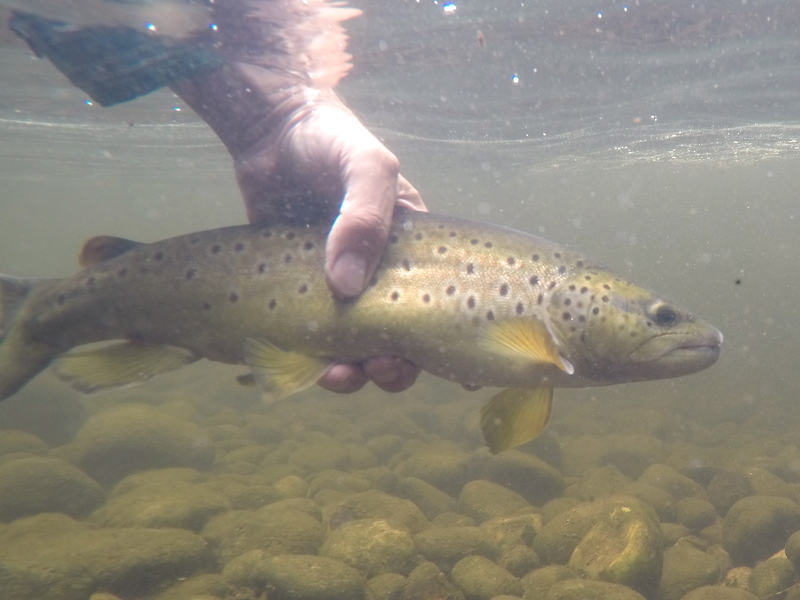 Spot C was in the permanent TMA, and despite a few random rises, we were unable to persuade any trout to jump on. Spot D was on total lockdown (I’ve never seen so many anglers in such a small run), so we headed for Spot E where we had the pool mostly to ourselves. One more trout on a wet and we called it a day. Thanks again so much, Bob and Tim, for such an easy, relaxing day on the river. Water was 280cfs in the permanent TMA, cold, and clear. Midges, caddis, and a few random mayflies. I thought it would be too early for Light Cahills, but I had to see for myself. Besides, the lower TMA was conveniently on the way home, it was evening, and I might find some risers to present to. There were indeed a few trout shattering the surface with splashy takes. No Cahills, but there were size 12-14 tan caddis, sz 20 caddis, and midges everywhere. I fished some snotty pocket water for 30 minutes and took five trout. A plug for the team of three wets: I caught fish on every fly, one on the size 12 Squirrel and Ginger (top dropper), three on the size 12 Dark Hendrickson (middle dropper) and one on the size 12 Light Cahill (point). Browns and rainbows with one wild brown in the mix. Regrettably, I had to call it (there was a grilled flank steak and a spicy zin awaiting me at home). How exhilarating to see the fish rise to feed, boil on the surface, then feel the tug moments later. I love fishing under the hatch with wets. Halo, beautiful. Dark Hendrickson winged wet.